When was the first time you heard the La Scala? I was young when I first heard the La Scala’s, maybe 12 years old. I did not know until years later what it was that I had seen or heard. Where were you and how did it make you feel? The most memorable experience was hearing them in the Klipsch HQ Architectural listening room about 17 years ago. The feeling was very impactful, something I had not experienced to that level before. A testament to great acoustic engineering, even by today’s standards. What is a favorite song to listen to on this pair of speakers and why? A favorite song to listen to on the La Scala’s is “Who Are You” by The Who because it is the first song I ever heard played on them. What is a favorite component to pair with the La Scala’s and why? Any decent quality class A/B amplifier and a quality pre-amp is fine for source components. I’m not picky. What is the most memorable thing you’ve heard someone else say about the La Scala’s after hearing them for the first time? They offer a very wide enveloping soundstage. What type of audience do you feel this speaker appeals to and why? 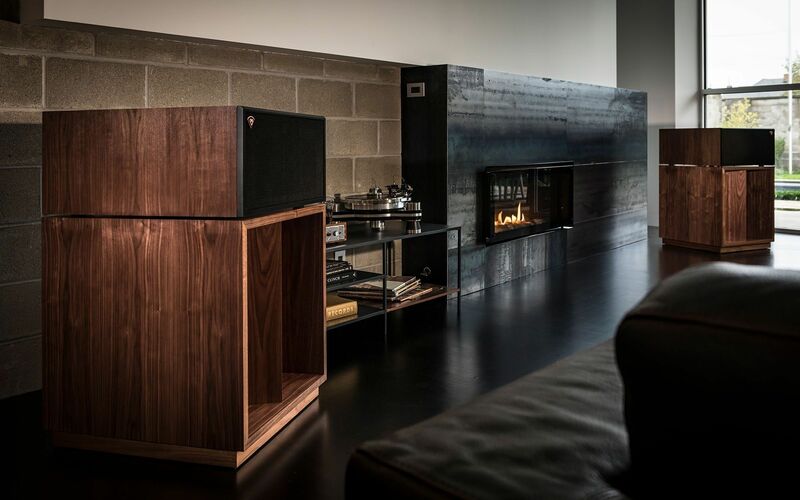 A person most interested in a simple music-oriented system, but has a taste for classic American-made quality.